A new entrant to the fastest growing eCommerce market across the globe, Helloekart is dedicated to take fashion to the next level. Helloekart.com engaged Nexia to re-build their online shop. 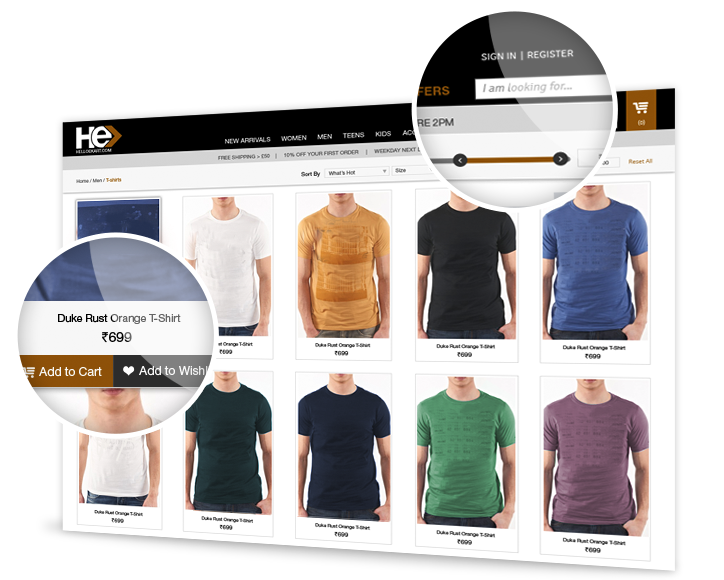 The e-commerce solution built in Magento uses features such as calendar module, coupon creation etc so people who buy in the site can get discounts as well as redeem vouchers online. A new logo, visual system and online shopping experience — each reflecting the organization’s strength, credibility and commitment — communicated this critical message and mission to the world.